Renovating a bathroom can be daunting. And it’s a big investment for most people, so you want to get it right. 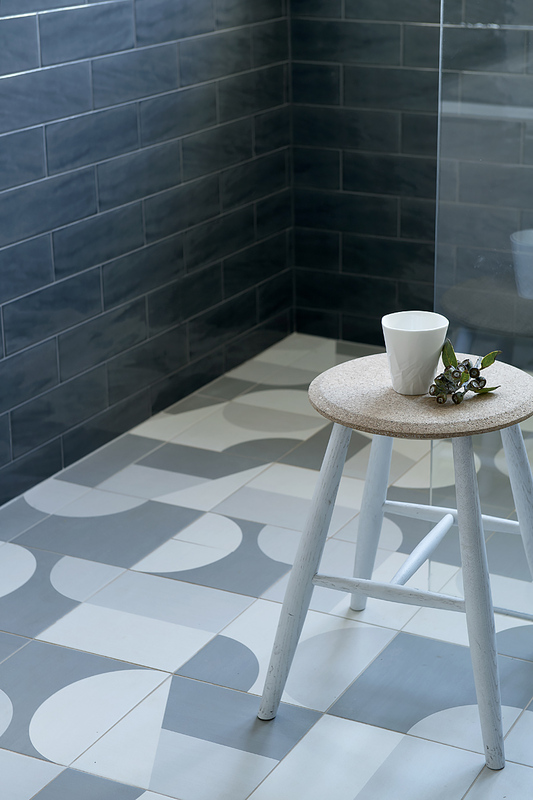 Q: What are some of the changes or trends you’ve seen in bathroom design in recent years? 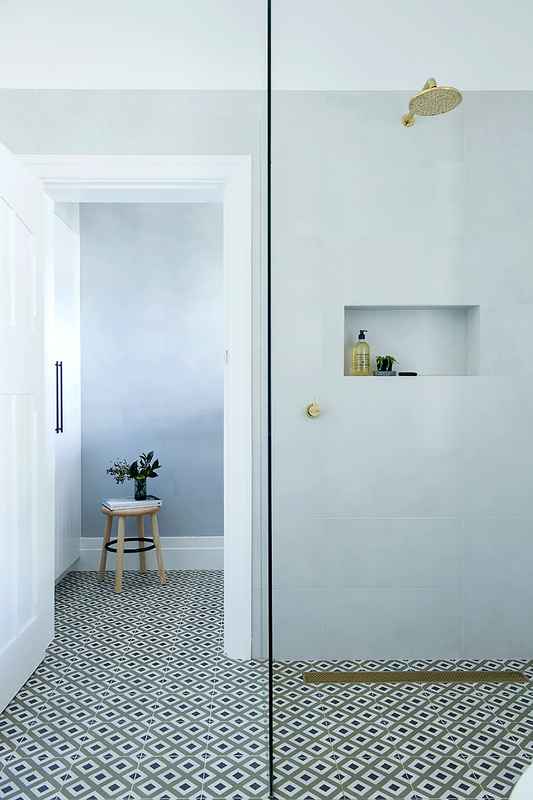 A: Increasingly clients are looking for ‘retreat’ like qualities in their bathroom, particularly in ensuites, where people are wanting luxury finishes and details. In part, this has been influenced by travel and hotel experiences – people want to bring some of that hotel aesthetic and luxury to their own homes. It’s also an increased awareness that practical zones can also be beautiful. Q: What should people think about first when redesigning or renovating a bathroom? A: I always start with the floorplan. 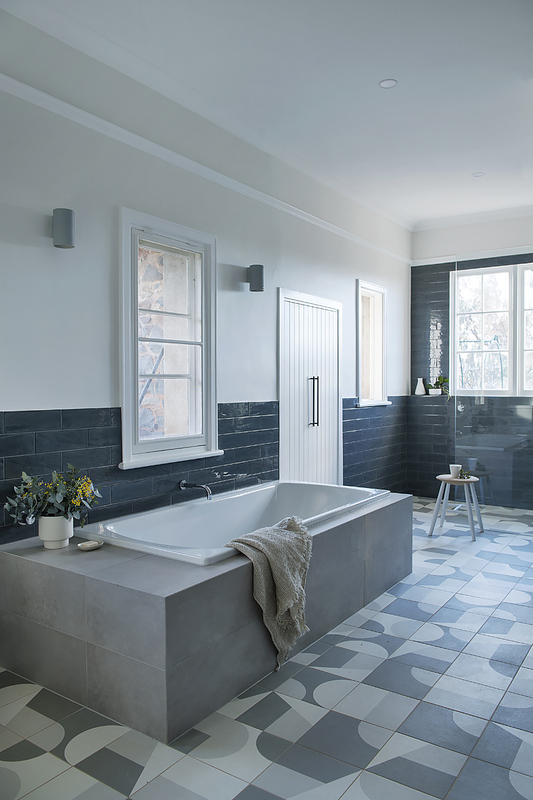 Getting the layout right and a good floorplan in place is critical for any bathroom renovation. As a designer, I like to have a clear idea of who am I designing for, how do they use the space and what are they looking to achieve? Q: How can you make small bathrooms feel more spacious? A: An effective floor plan is even more important in a small space. Where possible, I look to elevate cabinetry off the floor and use vertical space for storage. 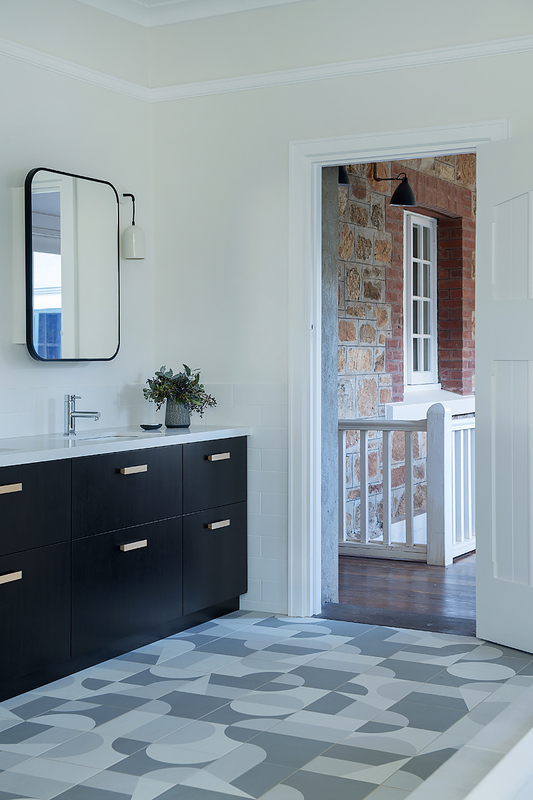 For example, in this ensuite project, I created a simple floating timber bench top for the vanity and built in recessed cabinets above. This is a great way to save space on the floor. Another way is to create a ‘wet room’. Wet room design is very popular at the moment, where a simple glass screen, or no screen, in the shower recess creates a feeling of spaciousness. 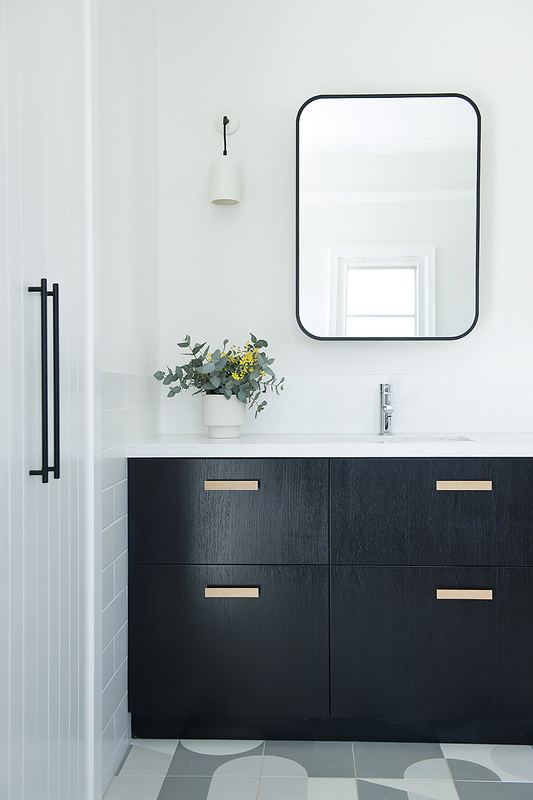 Q: Storage solutions for bathrooms? A: This is definitely an area that people struggle with. It’s hard to buy ready made solutions that suit your space and particular needs. So 9 times out of 10, custom cabinetry is the answer. 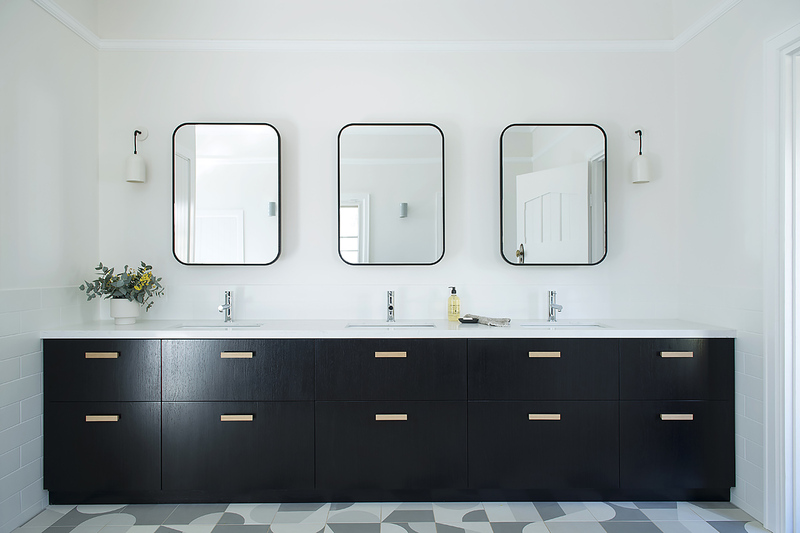 In this kids bathroom we created a generous vanity with deep drawers, and individual mirrored cabinets above. To the side, I also built out part of the wall to create a large linen cupboard. Q: Isn’t custom cabinetry expensive? 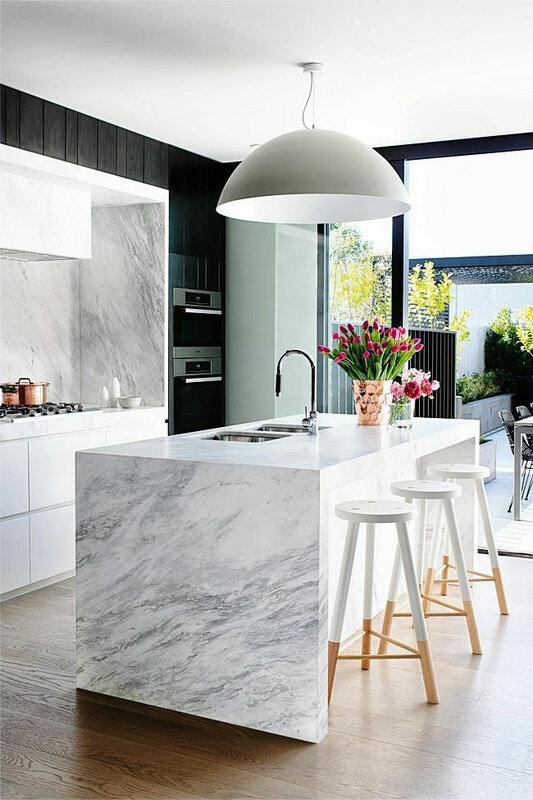 Custom cabinetry is an investment, but well worth it in busy zones where multiple people use the space and you want the area to be clutter-free. 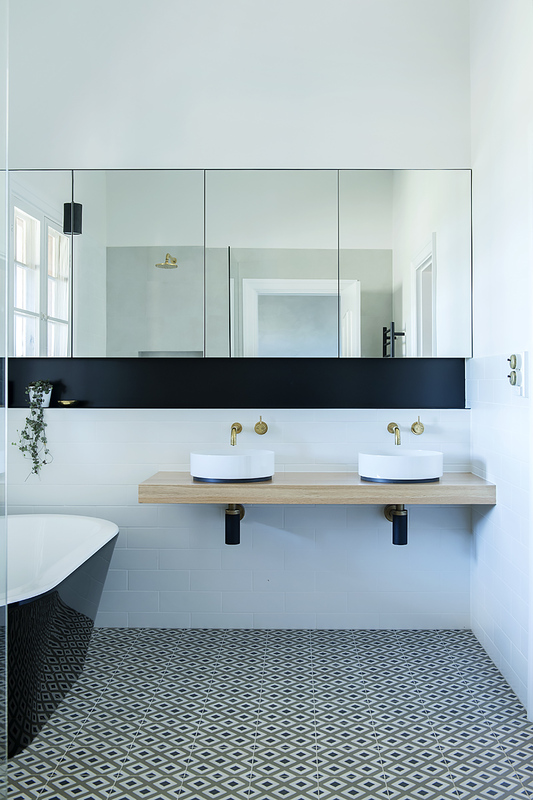 A bathroom is one of the hardest-working spaces in the home, so for me, to get the functionality and look you are after, it’s an investment you’ll be very happy you made. It’s also wonderful for re-sale – buyers are always looking for how much storage a home has. Q: Tips for lighting placement? A: Ideally there should be more than one light source in a bathroom. It’s not often I actively recommend downlights! however the bathroom is one place where they are suitable. Always put downlights on dimmers and be careful not to install too many. 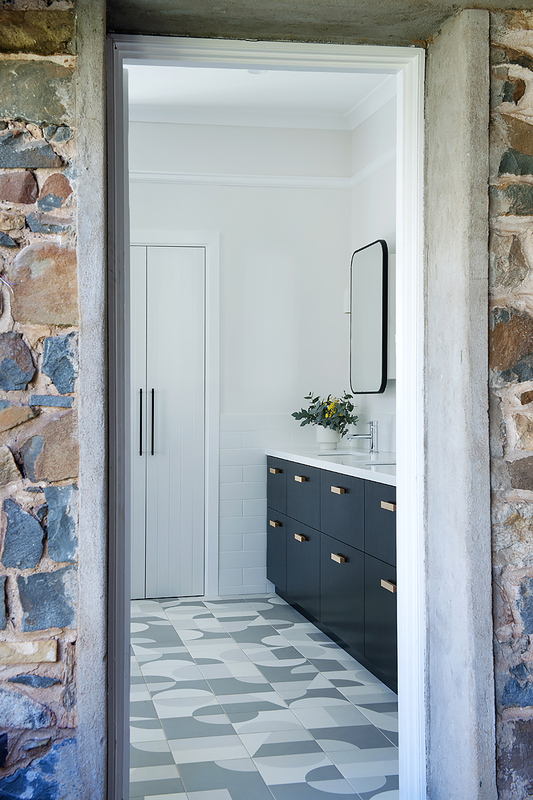 Also think about task lighting either side of the vanity if space allows, by way of wall sconce or pendant. And if you have the luxury of a bathtub, a beautiful light fitting over the bath is a lovely way to introduce ambient light. 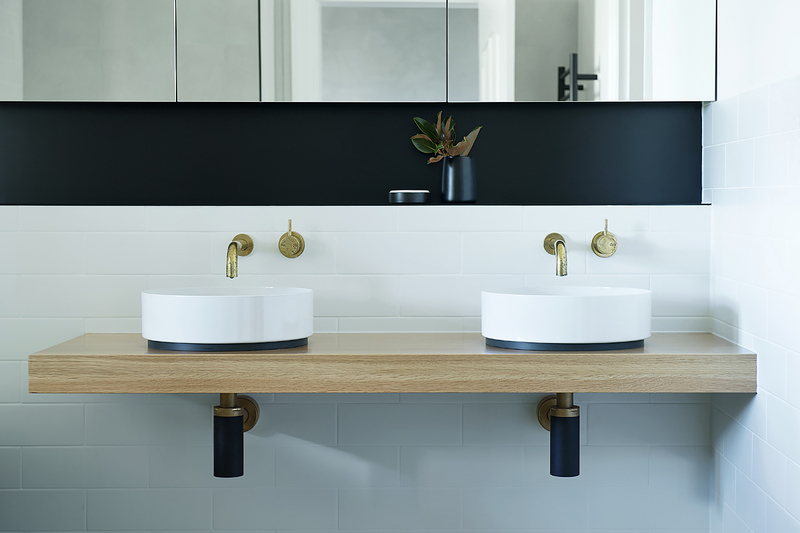 Q: What are some of the latest finishes we’re seeing in bathroom design? A: Custom finishes are very popular in bathroom design at the moment. For example, brushed brass and black fixtures, a beautiful artisan tile, a feature pendant, a custom drawer handle. These bespoke finishes add a luxury feel to any bathroom. Q: What’s your best tip for people embarking on a bathroom renovation? A: Invest in quality trades (and of course an interior designer!) to achieve the look you are after. 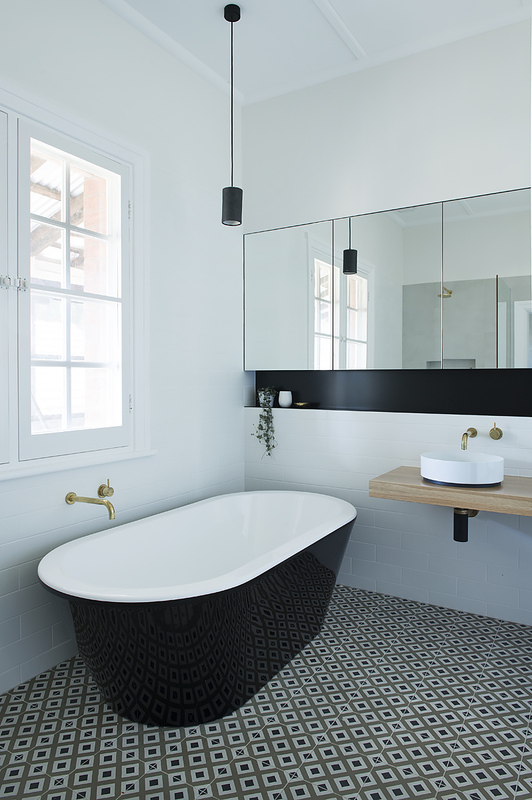 Bathrooms get renovated far less frequently than bedrooms or living zones, so it’s important to get the basics right, and have the design executed beautifully. You’ll be living with the outcome for a while.